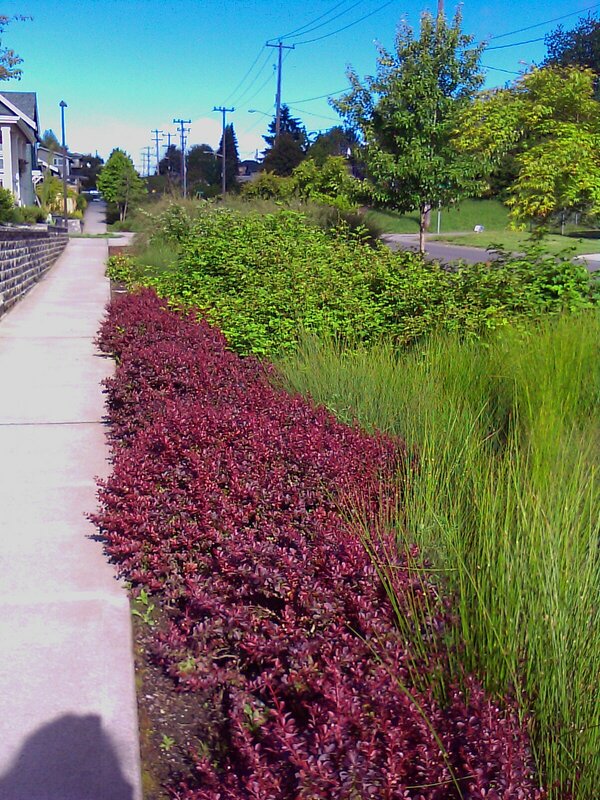 The Built Green Community of High Point in West Seattle has an approx 2.5 acre pond, with a 1/4 mile walking trail around it. High Point totals 120 acres, which makes up 10% of the Longfellow Creek watershed downhill in Delridge. All of the runoff from homes and streets and parks goes into bioswales placed throughout the community. Plants then filtrate the water for a time before the water makes it into a permeated culvert, that then directs the water to the pond. The pond holds water here so during heavy rains there is less flooding in the valley below.